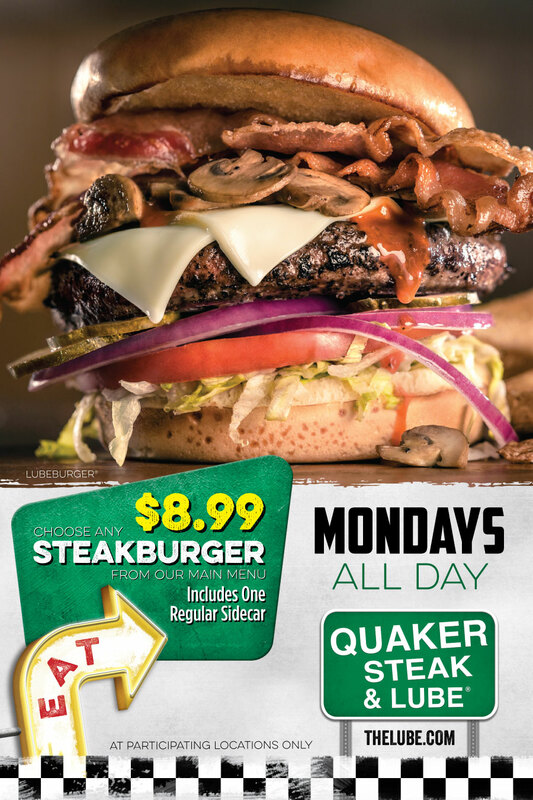 Burger Mondays At the Quaker Steak & Lube® Restaurant In Sharon, PA! For A Limited Time Only Any Half Pound Steakburgers $7.99! Includes a sidecar of your choice. All Day Every Monday at participating locations only.